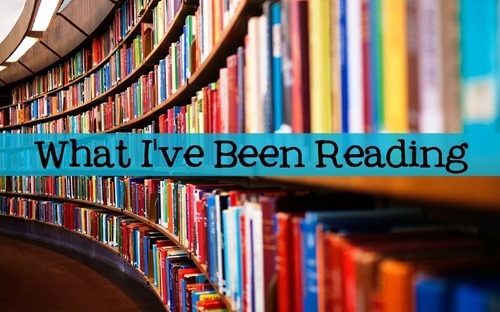 I have a few books that I’ve recently finished to share with you today! I received How To Walk Away by Katherine Center from SheSpeaks. I was so excited to have the chance to read this book because I have read and enjoyed books by Katherine Center in the past. How To Walk Away was so good that I called it my new favorite book! I know it’s cliché, but this book literally made me laugh out loud as well as brought me to tears. The book begins with a riveting description of a horrible accident that changes everything for Margaret. Margaret is a strong and capable woman who has to deal with changes beyond her control. While she feels like she has lost everything in her life that is important, she learns to live in her new reality and finds new people who treat her the way she deserves. The relationship between Margaret and her sister Kit is a lot of fun to read, and the way they bond with Ian the physical therapist is heartwarming as well. I loved the ending, which was as funny and sweet as could be! Click for more info about How To Walk Away! Someone reviewed One Of Us Is Lying recently and after I read her review, I added it to my request list at the library. Then I couldn’t find the review! Which one of you read this? Anyway, I was excited when it was quickly my turn to read this book. I wasn’t able to figure out the answer to who killed Simon until just before it was revealed in the book. I enjoyed guessing though! All of these students had things to hide and learning about each of them was entertaining. I enjoyed the descriptions of the teenagers and the friendships they developed with one another. If the description of the types of kids above sounds familiar, that is because the author was inspired by The Breakfast Club! The book is also compared to Pretty Little Liars, and I would say that it does have similar aspects to that show, but it is unique and fun in its own way. Finally, I recently finished Little Fires Everywhere by Celeste Ng. I wanted to read this book because it is being turned into a TV series produced by Kerry Washington and Reese Witherspoon, who will also act in the show. I had heard mixed reviews, so I was worried that I would not like the book, but it kept me interested and I enjoyed imagining it as a TV show! “In Shaker Heights, a placid, progressive suburb of Cleveland, everything is planned – from the layout of the winding roads, to the colors of the houses, to the successful lives its residents will go on to lead. And no one embodies this spirit more than Elena Richardson, whose guiding principle is playing by the rules. There were a lot of characters in this book with a lot of back stories. Even the author / editor seemed to be unable to keep their stories straight, because a minor character was said to have been born in both New Jersey and in Maine. I would say that the background stories seemed a bit slow moving at first. The main event of the novel is revealed at the very beginning and the rest is a look back at what brought the characters to that place. I found the moral issues behind the custody battle to be interesting and I can see this being a good book club read. I can also see why Washington and Witherspoon saw this book as a good one to turn into a TV series. There is a lot going on that can be related to society, feminism, and the division between classes. I look forward to watching it when it airs. Next Post $10 at Target–Disney!